Hello all! I usually don't post on Sundays, because it's dedicated to church and family, but I did want to do a little post, to share a couple of fun treats for teachers! If you weren't around bloggy land yesterday, a bunch of teacher bloggers hosted a fun Trick or Treat Blog Hop! They took over each other's blogs for the day and shared a freebie! We got to go trick-or-treating before the kids! Also, they are hosting a prize pack giveaway too! I picked up so many great freebies, so make sure you do the same, before the treats aren't free anymore! Wow, can you believe November is less than two weeks away?! I cannot. 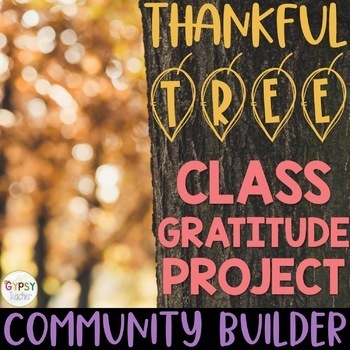 Last fall, I created a product for my TPT store, 30 Days of Thankful: A Thankful Tree Craftivity. You can click on the link or picture below for details, but I created this product as a lifeline for you teachers. Thanksgiving is a time to be thankful. And, although it is at the end of the month, I think we should be thankful all the time. This activity gives your students or children the chance to recognize what they are thankful for each day of the month, and by the end of November, your tree will be abundant with thanksgiving! I wanted to give you time to get it set up before November 1st shows up, so today and tomorrow only, you can purchase it for 10% off! Falling into Fall Swap Reveal! Steals and Deals of Late! Protect, Simplify, and Love your Workspace! Definitely another Iced Coffee Date! Travel Tuesday :: A New Link Up! !